This fall and spring, Montgomery County celebrates its contributions to the silent movie era with authentic presentations of classic films. Hollywood is, in a way, the new Montgomery County. California became the place for moviemaking thanks to its consistently warm weather and sunny days in the early days of film — elements that were crucial to mass-producing movies in those days. But before that migration slowly began in the 1910s, the first studios existed in New York and Philadelphia, along with parts of New Jersey and in Florida and Chicago. And, for a brief period, the largest film studio — and, literally one of the “biggest” film stars — resided in Montgomery County. 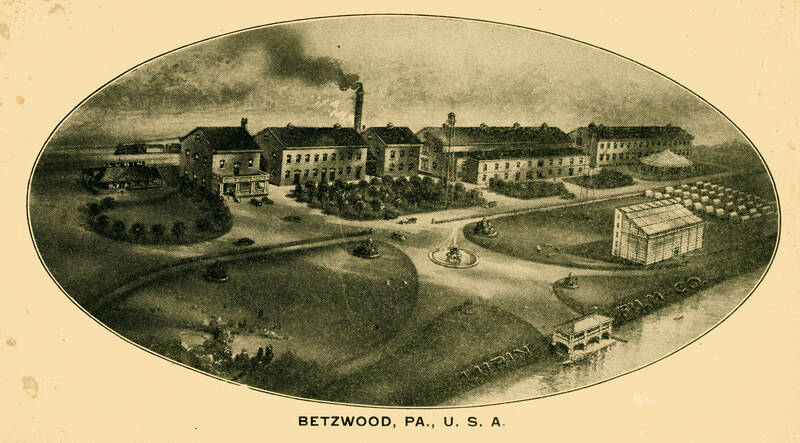 PHOTOS COURTESY BETZWOOD STUDIO ARCHIVES / An envelope created by the Lubin Manufacturing Company featuring the Betzwood Estate. The studio, home to the Lubin Company, was set up in a string of 19th-century houses in West Norriton on the Schuylkill River in 1912. It boasted what was, at the time, the most advanced film processing plant: climate controlled, with each room set to different temperature and level of humidity to accommodate the various stages of film processing. But it wasn’t just for shock value, nor did it stem from a lack of creative ideas. Rather, it was an example of what early moviemakers often set out to do: push and test the limits of their craft. 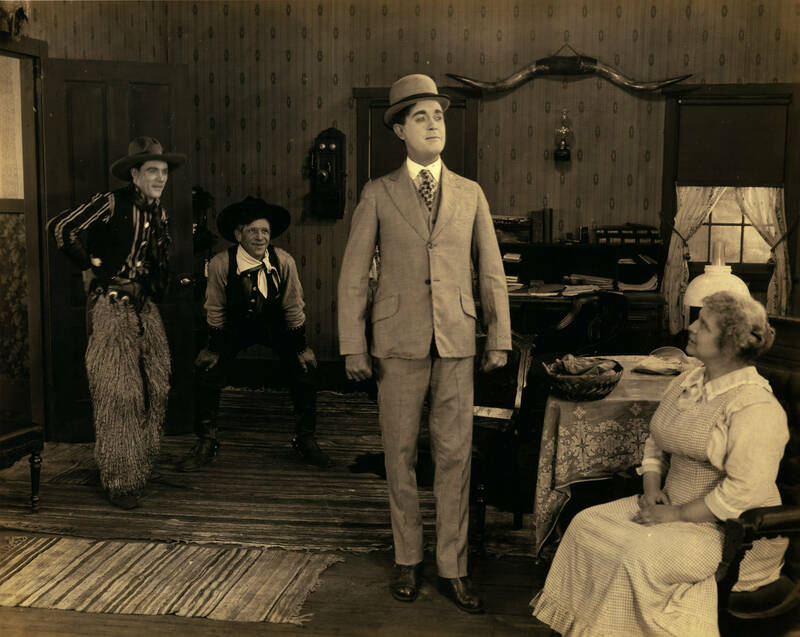 “A lot of people don’t realize how ingenious the silent filmmakers were, and how difficult it was to make special effects, which they often had to do in-camera,” said Eckhardt. That meant devising tactics like double-exposing film, hand-cranking the camera at different speeds for fast or slow motion, or even acting in reverse and then reversing the film to create an illusion. Today, that’s all done digitally, but in the early 20th century, it was new and novel — especially compared to live theater productions of the day. Eckhardt helms an ongoing archival project to collect and preserve the work from Betzwood Studios. The collection includes boxes of photographs and books from the studio and articles and magazines featuring it. There’s also a stagecoach door and wooden supports that held up sets. A film still from Betzwood featuring John Keenan, Louis Bennison and an unknown woman. The archive, of course, includes many actual films produced at Betzwood. Ironically, the latest-and-greatest in technology today plays a big part in preserving all those old innovations. “YouTube has been a godsend. It’s made it possible to disseminate the films far and wide,” said Eckhardt. The handful of the films he has the rights to publish are linked from the Betzwood Collection website, which houses nearly two dozen pages covering everything from the personal history of founder Siegmund Lubin to a database of the studio’s films and actors. From there, Eckhardt interacts online with Academy of Motion Pictures in Los Angeles and professionals as far as London or Berlin. Once, he was contacted by someone in France with information on patents for some of the inventions that came out of Betzwood. “In a way, the archive is a phenomenon that grew out of the mass media we enjoy today,” he said. Eckhardt is probably partly responsible. Along with the online archive work, he’s written two books on the subject: one on Siegmund Lubin in 1997 and the most recent from this year on Wilna Hervey. Entitled “Living Large: Wilna Hervey and Nina Mason,” the book chronicles the life of the 6-foot, 300-pound silent film star who made comedies before retiring to an upstate New York artist community with her partner, Nina Mason, where they became well-known for their lavish parties and artistic endeavors. Hervey’s films were the focus of this year’s Betzwood Film Festival, a Montgomery County Community College institution since 1989. They’re still shown, whenever possible, on the original nitrate film stock and with a rare, added attraction: 18 frames per second. For decades, the industry standard has been to shoot 24 frames of film each second; at that speed, they’ll play back properly on modern projectors. 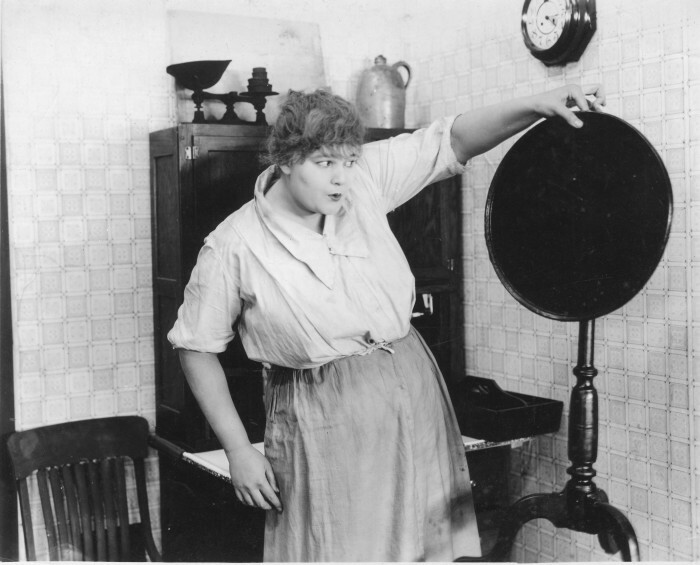 However, silent-era films shot at 18 frames. That means when they’re played on “normal” projectors — the ones often used to transfer the old prints to video or digital — they’re slightly sped up, giving them a jerky feeling that most people today assume is how they were shot. But, that’s far from the truth, and something the Betzwood Festival brings to light with a projector restored to show the films at their intended speed. Along with restored film speed, the Festival offers another oft-forgotten feature of the silent film era: live music at the movies. “There’s nothing like the thrill of live music when the film is running, and anyone who performs live picks up a vibe from the audience” said Eckhardt. There’s a certain art to silent music accompaniment: reviewing existing scores and watching the film ahead of time to figure out a scheme, and timing sound effects like a ringing bell or gunshiu to coincide perfectly. It’s a largely forgotten art, but there’s still a small yet vibrant community of silent film organists today. And, fortunately, people interested in that art don’t have to wait until next year’s Betzwood Film Festival to experience it. Montgomery County has another institution dedicated to the silent film era: The Grand Theater in East Greenville. Each fall, the Theater, first opened in 1924, holds a silent film festival of their own: three films screened in October and November. The location also boasts its own restored pipe organ installed permanently in the auditorium. 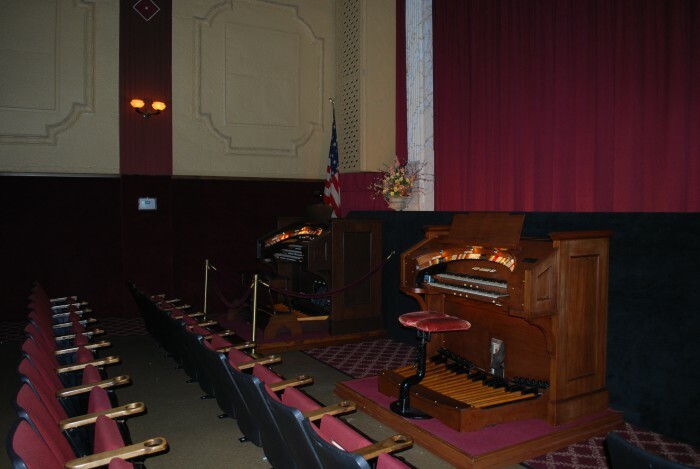 Pipe organs were a fixture in many theaters during the silent era; the largest theaters featured orchestras or small combos, and the smallest perhaps just a piano. This instrument, built in 1923 and augmented when it came to the theater in 2006, features 61 pipes ranging from the size of a pencil to 16-foot lines, all hidden behind the movie screen. In front of the screen are two consoles with a few 61-note keyboards each, depending on the sounds the organist wants: anything from woodwinds and strings to brass instruments or “bells and whistles” — literally. “If a police officer blows his whistle on screen, the organist has a button where literally air will rush through a pneumatic tube to sound like that, or an old time-horn or sound of a steam boat or train going by,” said Carl Black, manager of the Grand Theater. Black is an organist himself — the instrument now at the Theater used to reside in his parents’ home — and started the festival based on the theater’s history. The usual schedule is a drama to start, a Halloween-inspired film, and then a comedy. This year, the three are Cecil B. DeMille’s King of Kings, Nosferatu and the Buster Keaton film Go West. It’s at that last one that the theater gets closest to the old-time experience, where they pad the running time — comedies were often shorter than other genres — with live music and singalongs, and even organ duets between Black and the festival’s organist, John Baratta. But, what they don’t seem to forget is the full experience of seeing a silent film in a theater, be it a celebration of a local landmark like Betzwood, or a more immersive program like at the Grand. The Grand Theater, 252 Main St. in East Greenville, will hold its silent film festival on Sept. 27, Oct. 18 and Nov. 27. For information, visit http://www.thegrandtheater.org. The next Betzwood Film Festival is in May 2016. For information and to visit the Betzwood online archive, visit http://www.mc3betzwood.wordpress.com. Wonderful piece, full of fascinating facts!